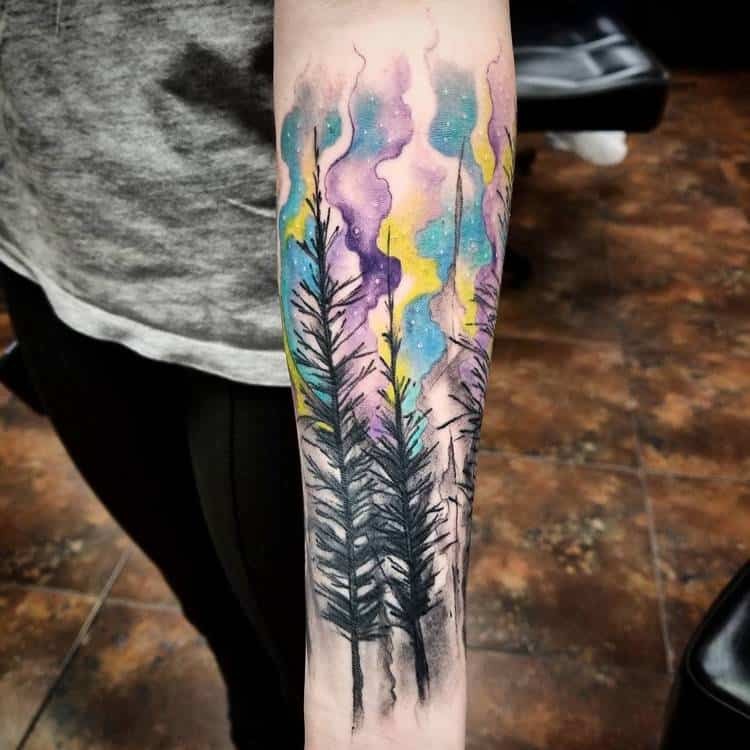 Mysterious space, sanctuary, and labyrinth, the image of the forest holds powerful symbolic meanings and offers great inspiration in tattoo art. 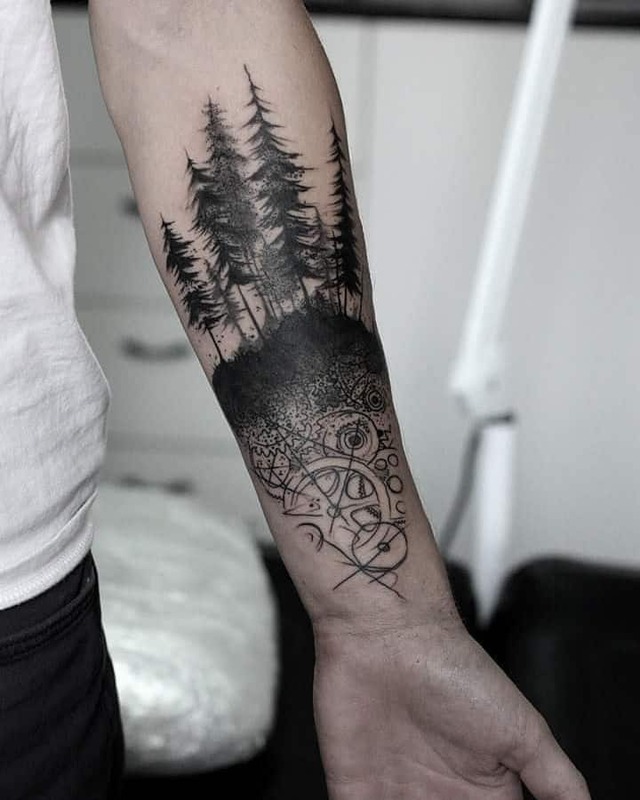 A forest tattoo will carry the same meanings as the forest itself. 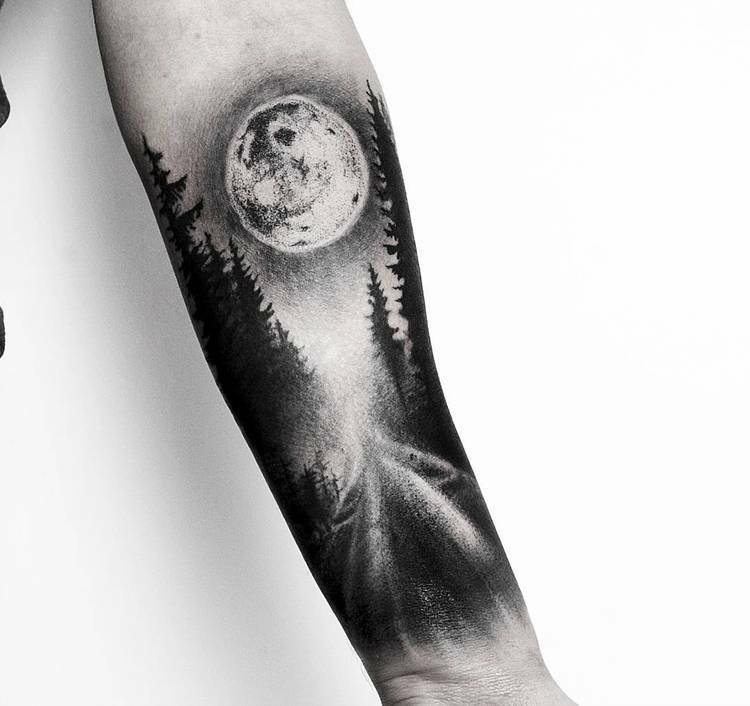 As the forest is abundant in life so its image as a tattoo will symbolize in principal life and rejuvenation. 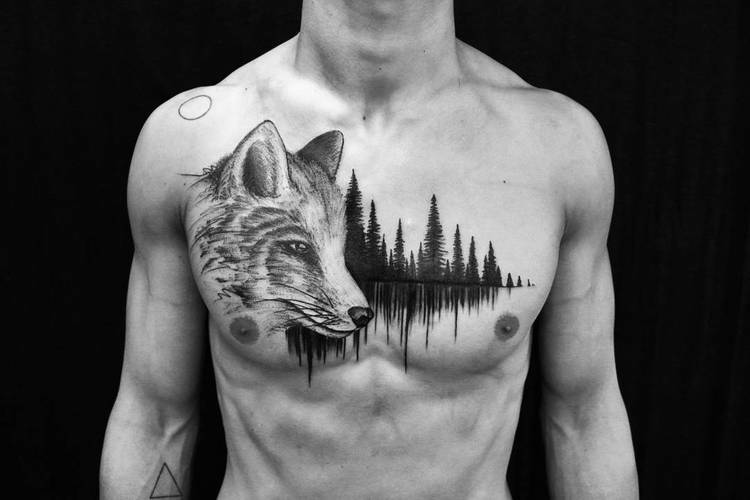 The forest bears the symbolism of a huge and inexhaustible reservoir of life and mysterious knowledge. 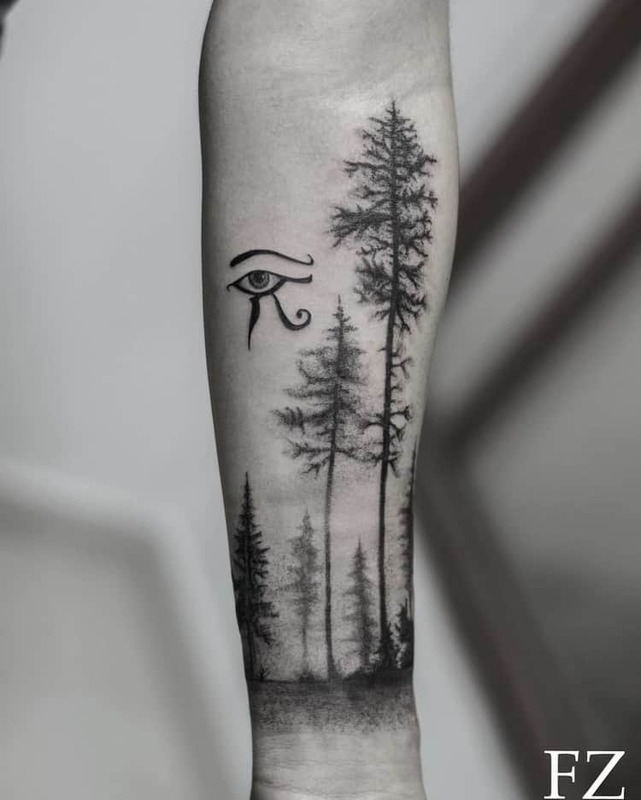 It is a mystical element, invested with the attributes of eternity because it has the ability to withstand and regenerate over the seasons. 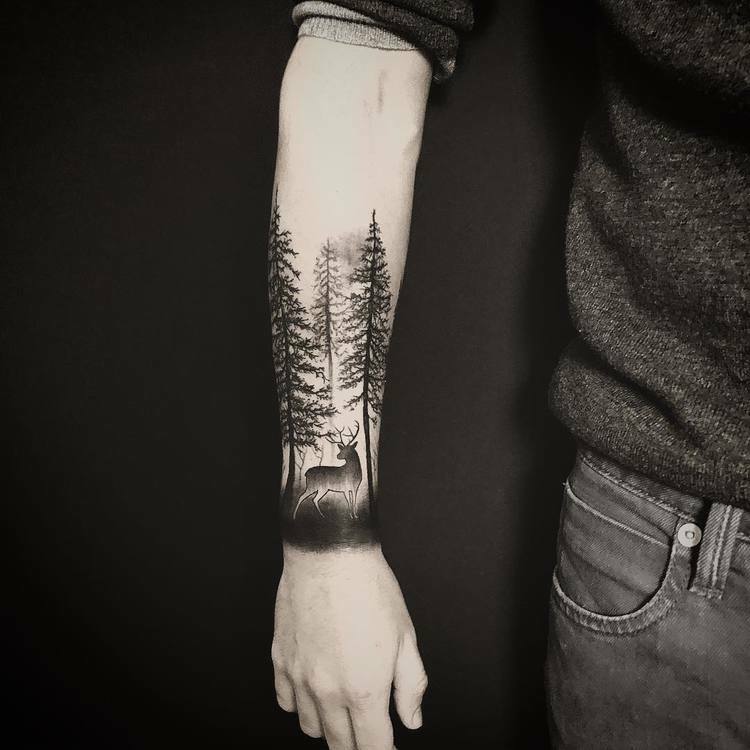 The nature lovers and romantics consider the forest a place of absolute happiness and serenity, a sanctuary, and the terrestrial paradise in which they can get away. 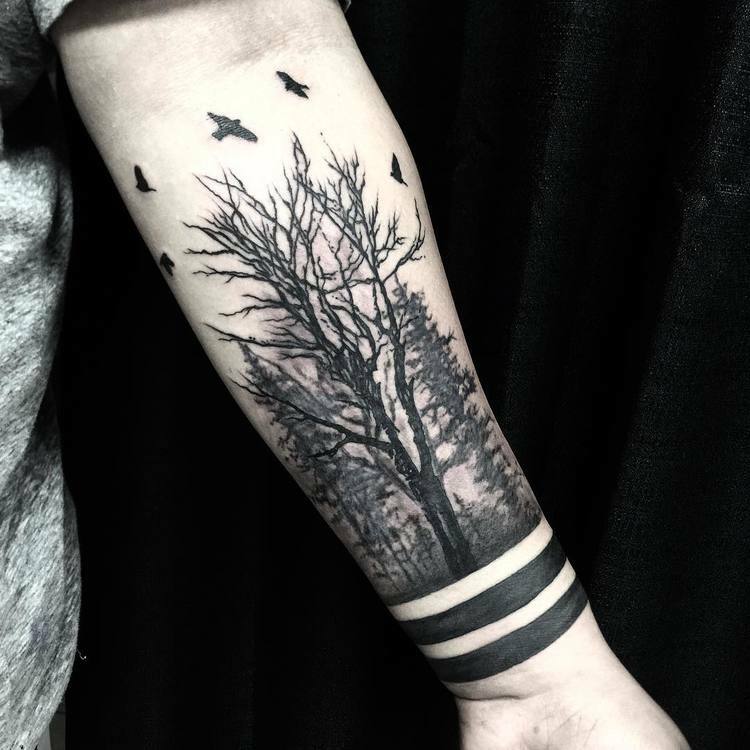 Forest tattoos can be also rendered in a dark way, with bare trees and creatures of the night, symbolizing a mysterious and dark personality. 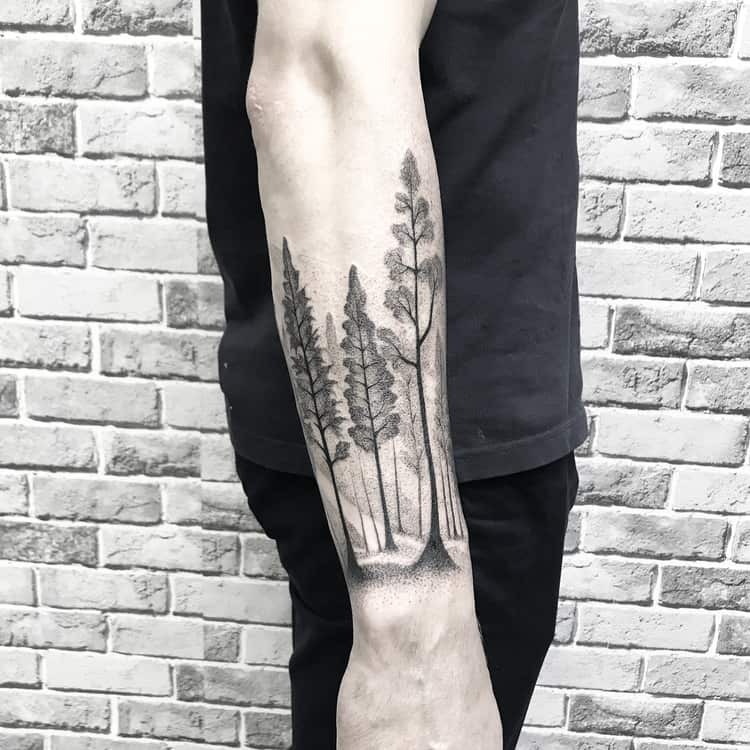 The season and the moment of the day offer great expression to a forest tattoo. 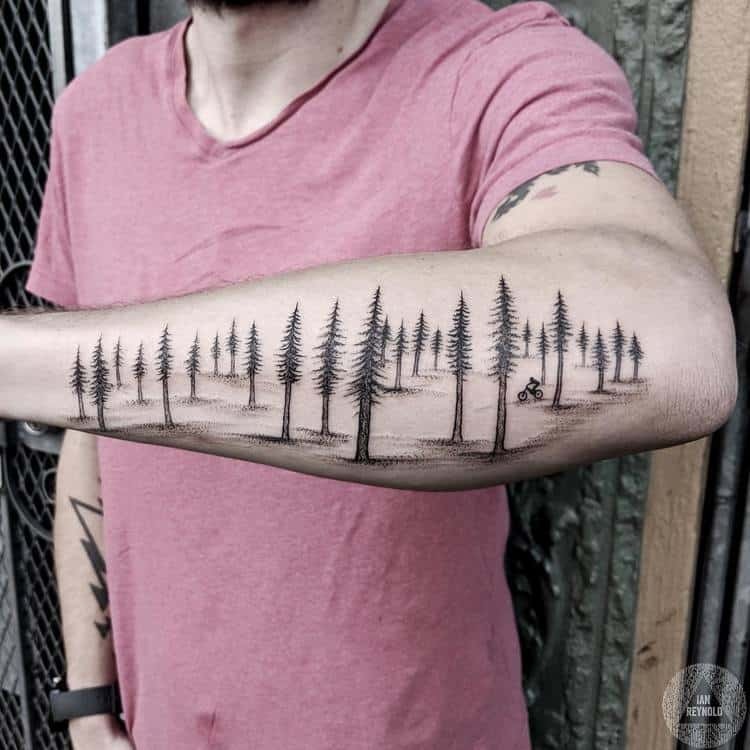 Depending on preferences, the image of the forest can be a relaxing picture of trees and animals or it can represent a scary place full of mysteries which can make you feel frightened. 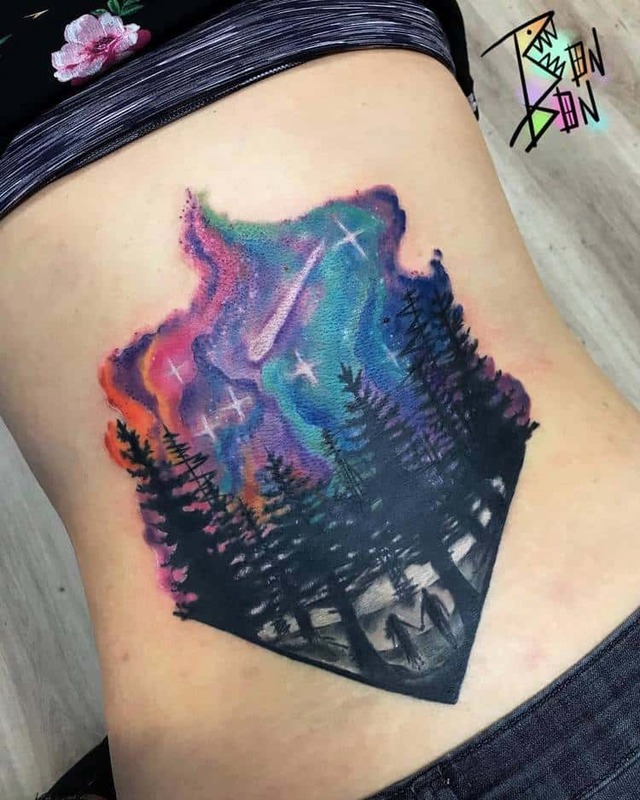 Bellow, we have compiled a selection of the most artistic and creative forest tattoos, from the most colorful ideas to the darkest designs. 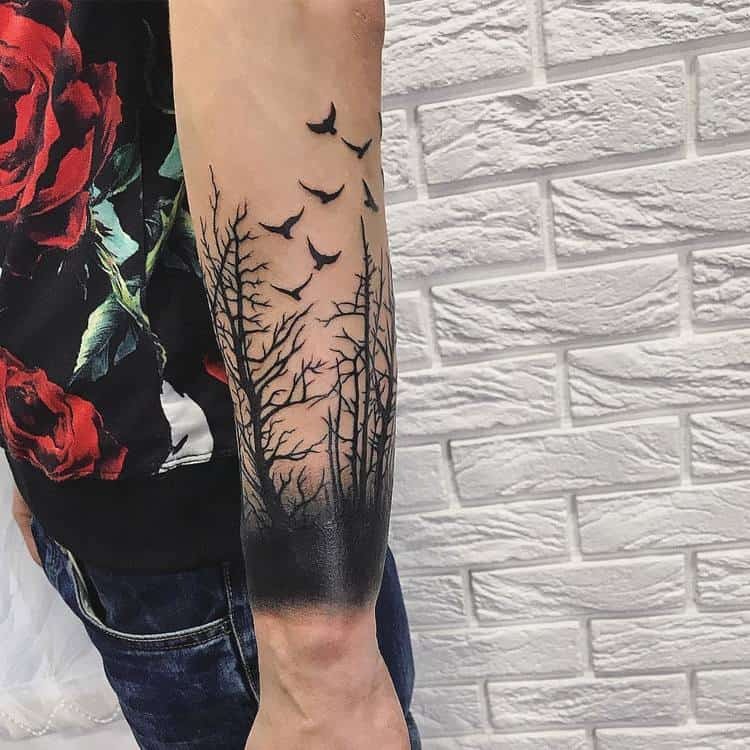 Check the images below and get inspired!